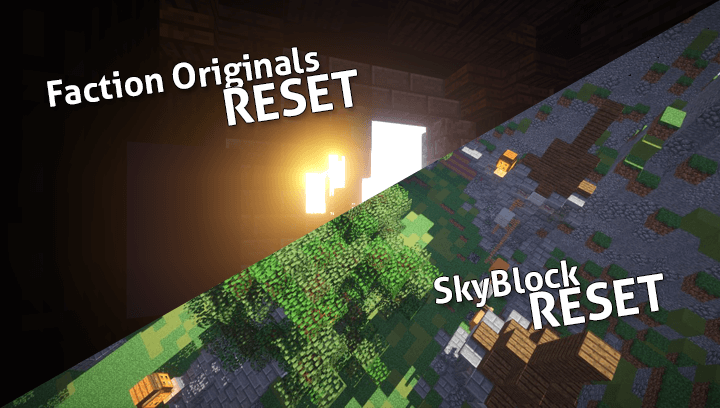 SkyBlock & Faction Original Reset! information for these resets below! Faction Originals will reset on the 6th of August! SkyBlock will reset on the 4th of August! 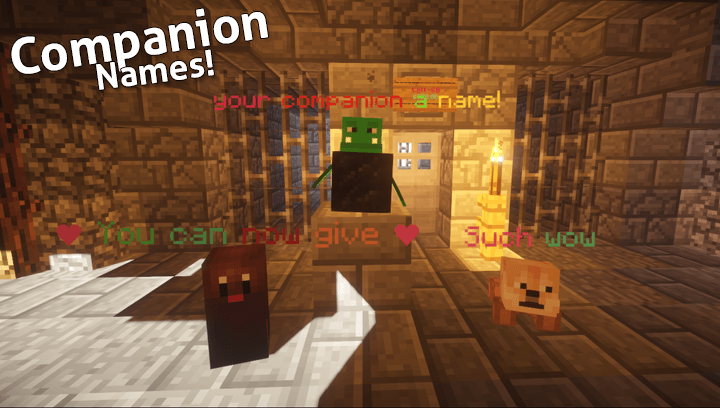 We've added a new product to our store which allows you to give your companion a name! This nametag is per one companion. The name can be changed multiple times if you do this within a 5-minute time frame of your last setname. It becomes permanent if you did not change it for 5 minutes. Goto our store for more information! We've added a new feature to some of our servers to give rewards if a certain amount of votes are reached. The reward is a voteparty which gives everyone who clicks the message that pops up a Vote Key. Everyone including people who didn't vote can claim this key. We've made this change in order to comply with the EULA. 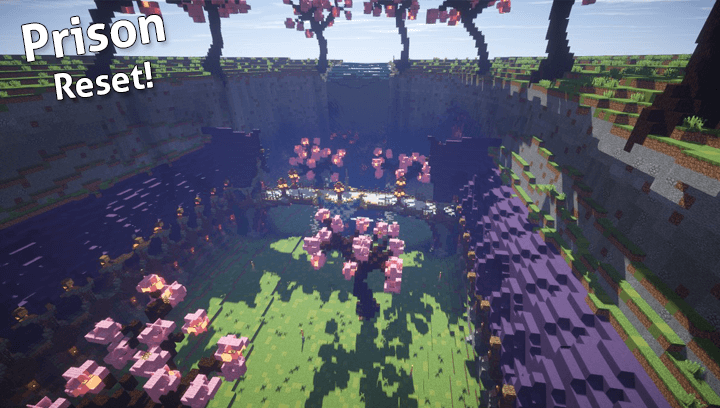 More servers will receive this system this week we plan to add this to each of our game modes. Prison is going to reset today! We have a new product in our store! We've added Titles to the GuildCraft store! These titles are cosmetic only and will appear above your name and in the TAB menu. 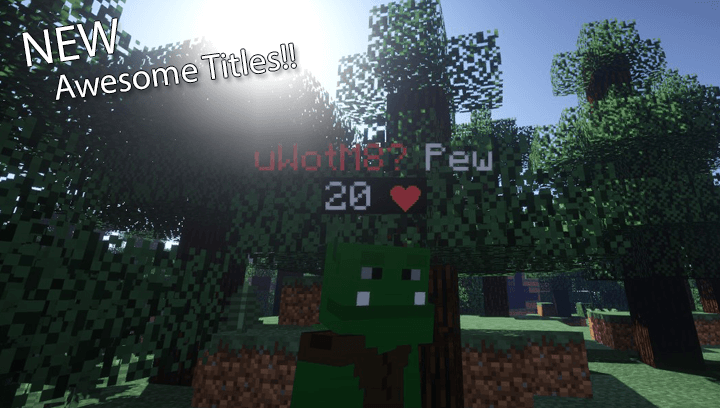 More titles will be added soon and every server will eventually have titles. Titles are 50% off during the promotion sale! Mojang has informed us that we're no longer allowed to reward one player per vote. Voting is now also included in the EULA. Voteparty's are still allowed so we will create a new temporary system which will reward everyone online when a certain amount of votes has been reached. Our drop events and rank events are not allowed anymore and have been removed. We're working hard on releasing server-wide boosters, server-wide key drops and EULA ranks. You will see them soon in our store!